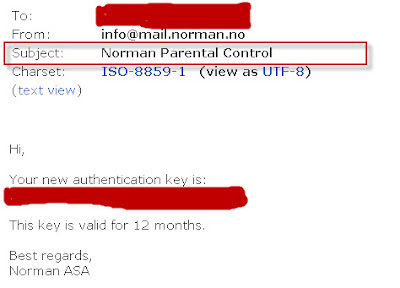 Last month i was wrote a post regarding ‘free 1 year Norman Virus control‘,today i will share with you all how to get free one year Norman Parental Control product key. With Norman Parental Control, you can take full control of not only when children can access the Internet (time limits can be scheduled user-by-user and day-by-day), but also what they are exposed to. A detailed log entry is generated whenever the program blocks access to a page. 1.Go to Norman registration webpage,enter your name,email and country.In OEM code column,key in CPNPC12-UK,then click ‘submit form’ . 2.The product key will sending to your email that valid for 12 months. 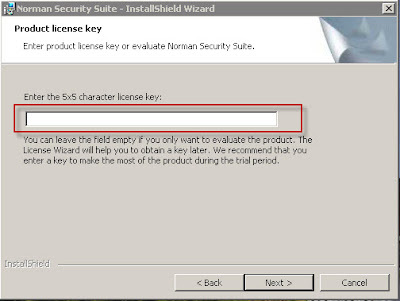 3.Then go to Norman Security Suite download page download Norman Security Suite ( Window 32 bits versions only ) . 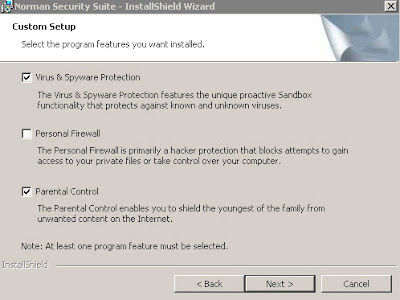 5.Then a set up window wizard and asking select set up type ( Typical and Custom ) .Selected ‘typical’ type will install Norman parental control , antivirus and antispyware . 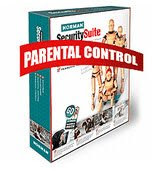 6.After completed installation,you can use Norman parental control free for one year. Hello, Iwould like to know if this type of promotion is legal or no. hai,I would like to know if this serial only valid for parenteral control only or I can use it for antivirus and firewall too for 1 year?? 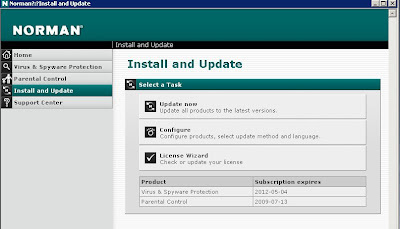 parental control valid for 1 year and antivirus & antispyware valid for 4 year. firewall can't be activate .